This article reviews easy and inexpensive ways to reduce your energy bill, increase your overall energy efficiency, and remain comfortably cool in your home during the Summer months. When Summer heat comes to mind, we often think of unbearably high energy bills from your A/C Unit coupled with sweaty and sticky outdoors activities. If you’re cranking up the A/C, leaving all the fans on, and struggling to keep the house at a comfortable temperature, use these energy efficiency tips for relief from the heat. Energy bills can get expensive quickly! Do you know how much it costs every year for homeowners to power their air conditioners? More than $11 billion are spent every year to power air conditioners! Yikes! But don’t worry! Our Boston Air Conditioning Company staff have compiled some of the easiest and most effective ideas we’ve learned over the years to cool down your energy bill and increase your energy efficiency. The whole point of these tips is to save money at home! You can start implementing these ideas right now, without spending a lot of money or making any major changes to your daily routine. For more pro energy efficiency tips read further. Change your HVAC filters or clean reusable ones on a monthly basis. Dirty filters cost more to use, cause the equipment to work harder, and reduce the air quality in your home. Turn up the thermostat when you are not at home, rather than turn the AC system off. It takes more energy for an AC system to turn back on, then turning the temperature back down when you want to cool off. Use the dishwasher to do your dishes, instead of washing dishes by hand. It takes less water to hand wash the dishes. But let them air-dry to save more on energy! Turn on the ceiling fans to help ventilate cool air throughout your home. With ceiling fans on, you can also turn up the temperature on the thermostat a few degrees without it affecting your comfort. Break out the BBQ on hot days to cook dinner, instead of using the stove indoors. Indoor appliances, like the stove, release and trap heat in your home. Install window coverings to block out windows receiving direct sunlight to prevent solar heat in the summer. Never worry about another maintenance tune-up – we got you covered! Sign up for our Total Comfort Plan designed to save you money, time, and energy all year long for home heating and cooling. It’s safe to say that minor changes just aren’t enough sometimes and it’s best for an industry professional to give you some of the tricks you haven’t yet thought about. Tune-ups are the best of our energy efficiency tips from experiences with homeowners in the Boston area. Seal your ducts! On average, around 30 percent of cool costs are a result of leaking ductwork. Schedule a “Tune-up!” Every year you’re supposed to have your HVAC system checked out and cleaned by your air-conditioning contractor. Increase attic/wall insulation! This is more affordable than a new AC system and helps prevent cool air from escaping your home through the walls or roof. Install a new AC system! 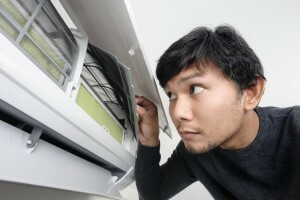 You may have weighed your options and decided it’s more affordable to purchase a new AC system. Here are some AC Unit options you should take a look at to help get you started. 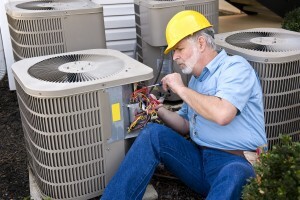 Do you know when the last time you had your AC Unit checked out? These energy efficiency tips may not be enough to greatly reduce your energy bill. Don’t let too much time go by before a check-up! Catch a problem before it is too late! The best tip we can give is to stay on top of repairs and always perform routine maintenance. Purchasing a new AC unit will be more expensive than performing A/C maintenance in your home, so stay on top of repairs. Call us at 617.379.6466 or contact us online to schedule an appointment with one of our HVAC Technicians. Available 24/7 for repairs on your heating, cooling, & other systems. Always on call for your emergency situations, so contact us for immediate repairs and service to your systems.